The weather was kind to us for the first half of the week in 2014 but tailed off from the MCC game onwards on Wednesday. 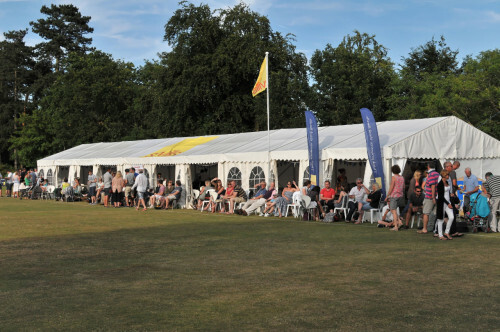 On the field, cricket week started on “the Friday before”, the 4th July 2014, in the evening with a keenly contested Old Oaks game against principal sponsors Savills and a barbecue. 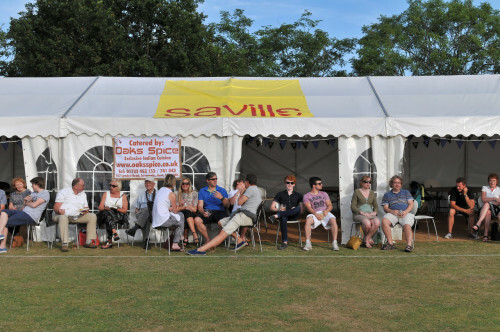 Off the field, we again partnered Sevenoaks Lions to stage the Sevenoaks Beer Festival, which is now officially part of The Sevenoaks Summer Festival, and at the same time help to raise money for their charitable work. 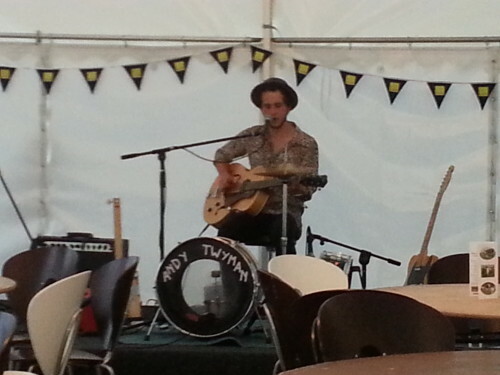 We also held our first folk music festival with some local artists from 20.00 to 23.00 on Friday and Saturday which gave a very peasant end to each evening. 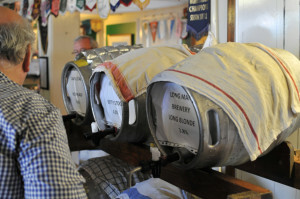 The beer festival continued on Saturday with more live music from 20.00 to 23.00; on Sunday the beer festival would down with a Junior game in the morning and the Jazzers playing in the afternoon whilst the bandstand hosted one of the area’s local bands. 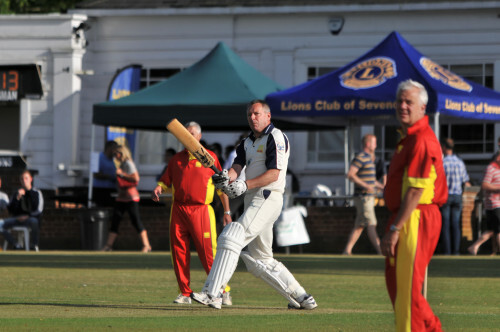 Monday we hosted to Lloyds of London for the Club XI fixture in an all-day game. 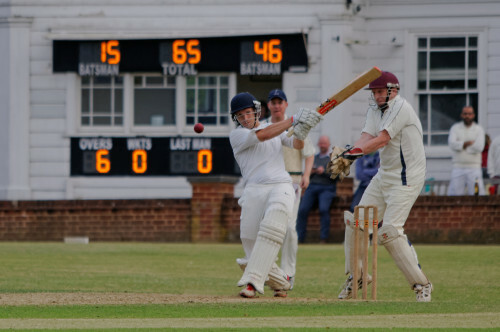 On Tuesday we welcomed a KCB XI who brought a strong collection of league cricketers and followed that up by winning the final of the local knock out competition, The Clark Trophy, at 18.15 when SVCC will play Penshurst Place. 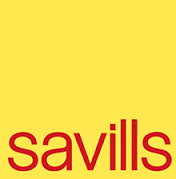 On Wednesday SVCC played MCC to entertain the Savills Day crowds. 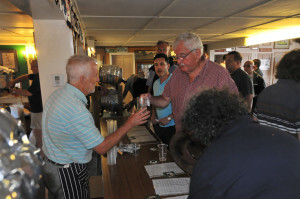 The Friday game was also a wash out, but the Kent Legends lunch for 184 guests was another great success and we are eternally grateful to Chris Tavaré, “Deadly” Derek Underwood and Dave Fulton for giving us their time and tales or yore. It is always a popular event so please book fast to ensure you get a table! !